The design of the Alpine V6 Turbo Le Mans has always been the subject of discussion. Especially the front looks somewhat scary and inexpensive. Some find him looking like a Ford Sierra. 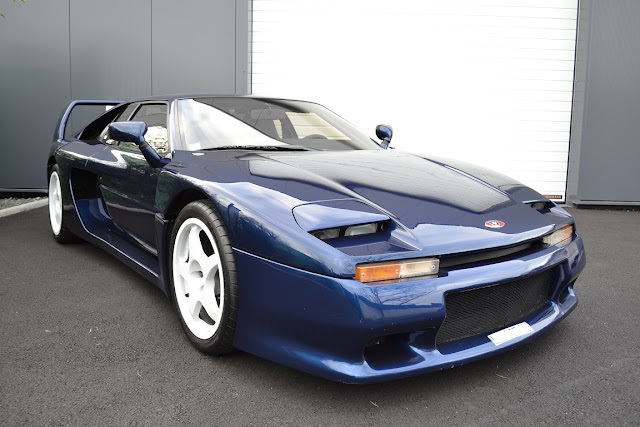 In 1987, a German tuner specializing in Alpine, Heinz Christian Kleinemeir (Renault dealer in Germany), designs a special body kit to give more personality to the Alpine GTA. Especially the front is different. The flashing lights are located in the front bumper above the fog lamps. Beautiful aluminum 3-piece wheels with honeycomb motif and wide polished rings. 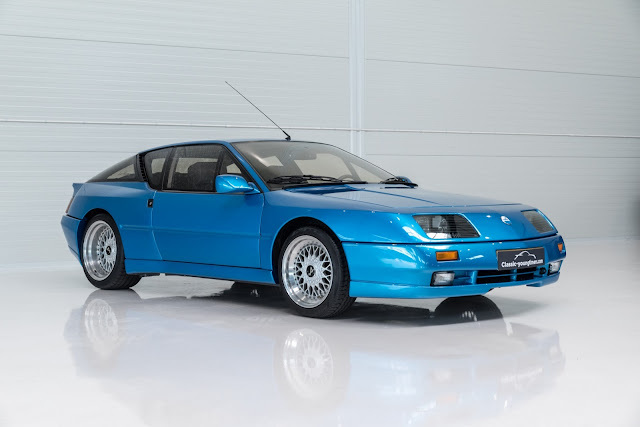 The result is so convincing that two copies were made by Kleinemeir and these are revealed in 1988 to Jacques Martin, Director of the Alpine Factory. Jacques was excited. 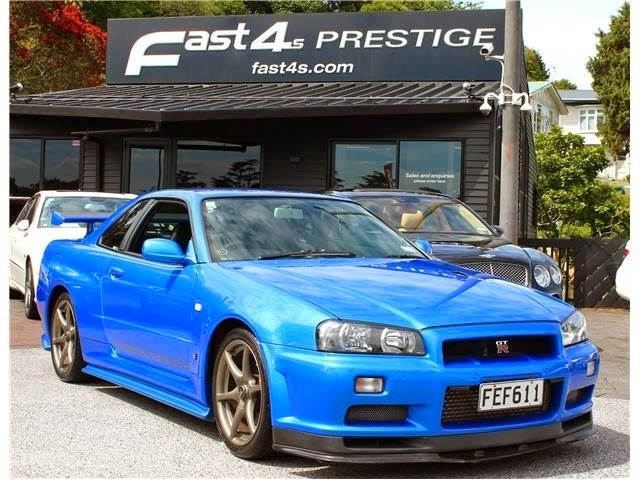 He hoped that this could be the same trick as with the A310 Pack GT *. At the end of the lifetime of the model, by re-encouraging sales again. But it had to be submitted to Patrick Le Quément, who is head of Renault Design. Between 1988 and 1990, Alpine completed the original Kleinemeir kit (they purchased Kleinemeir’s drawing) and adapted the production line. 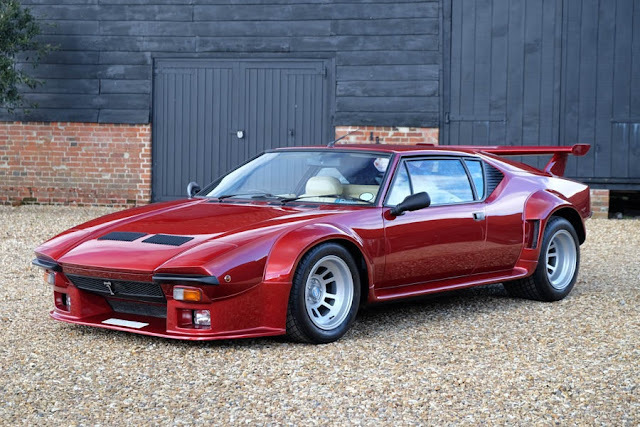 At the back came two chromed exhaust pipes and the round Alpine logo on the nose. At the back, the word ALPINE is sprayed on the grid between the rear lights. So Renault was no longer named! This unique examplethat was produced in December 1990 for the German market (country code 120) and with a 1st registration in the Netherlands on 27-07-1993. Finished in "Alpine Blue" with only 26,832 km from new this "Alpine GTA V6 Le Mans" is like new! Contact Classic Yungtimers Consultancy for more details.